Cast a mellow glow on your floors with interesting floor lamps. Made using quality raw material, they add a spark to your interiors. Skilfully accentuated with brass, wrought iron, and other rich material, these lamps are perfect for your interiors. When you illuminate your home using creative lighting and a textured lighting method, it brightens the space that you have and helps you add the mood that you want to, in your home. Lamps add a touch of elegance and sophistication, based on how they’re used to illuminate the space that they’re put in. Lamps can be used in various ways, i.e., to create a sense of space, to provide mood lighting or even to decorate a dark corner in your room. 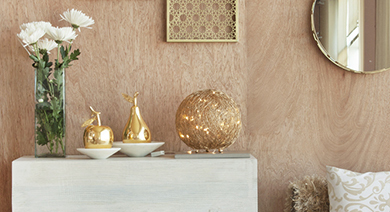 With a variety of different lamps on Urbanladder.com, buying a lamp can become a confusing affair. To narrow things down based on what your needs are in your home, and what kind of décor you have, here is a guide to what kind of lamp would best suit your home. Floor lamps - Ideal for homes with a larger surface area, floor lamps can illuminate a space and make the room feel comfortable and homely. Floor lamps are of two types; they can be focused on a single point to create a cosy nook, or the light can be dispersed across the room, using a lampshade. Choose from a range of tripod lamps, and single leg lamps for your home, from Urbanladder.com. Hanging lamps - Hanging lamps are the quickest way to give your space a makeover. These pendant lamps can be used to create a soft and sophisticated aura in a room and can light up dark corners. Use fixed ceiling LED lamps for a low ceiling, and hanging lights to make the room seem bigger than it is by creating an illusion of space. Table lamps - Ideal for a desk in a study room or for a bedside table, a table lamp can decorate your sleeping space or your study. Adding textures in terms of lamp shades and the body of the lamp will also change up the décor of your room. 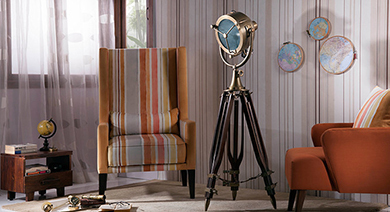 These reading lamps are reminiscent of vintage times, which is why they add a certain charm and style to your home. So table lamps online at the Urban Ladder store, to choose from a wide selection of vintage, retro and contemporary designs. Wall lamps - A smart alternative to regular bedside lamps, wall lamps have a more relaxed style. With wall lamps, side tables can be kept free for your belongings. These lamps are convenient as they create a dim and cosy environment. Some wall lamps are also LED lamps, priced reasonably online. Ceiling Lights - Ceiling lights are ideal for the illumination of any home, either to be used as living room lighting, kitchen lighting or bedroom lighting. Narrow beams of lighting can be used to highlight certain areas of the room, and you could use heavy lighting to brighten up any room. Decorating your home can be a daunting task. Choosing the best lighting to create the ambience you’re looking for may be even harder. Here are few tips you can use to ensure that you choose the best lighting for your home. Consider the function of each room - Generally, LED lightsforhometend to be for three different functions: task lighting, ambient lighting and accent lighting. A living room could use an accent light in the shape of floor lamps, as it will focus on a single object. Apart from the focused lighting, living rooms, since they are used to entertain guests, require ambient lighting. This can be in the form of ceiling hanging lights or with the use of decorative lights. A kitchen requires ambient lighting to brighten up space. You could use an LED lamp to add overhead light, and then use wall lamps to add task lighting. A bathroom is tricky to light, as using an overhead task light in front of a mirror could cast shadows. Opt instead, for designer lights on either side of the mirror, and a light overhead to completely brighten the room. With a plethora of options to choose from at Urban Ladder, we make buying lamps an easy task for you. Once you decide the kind of ambience you want your home to have and the different tasks that you will need lights for, you can opt for exactly what you need from our collection.